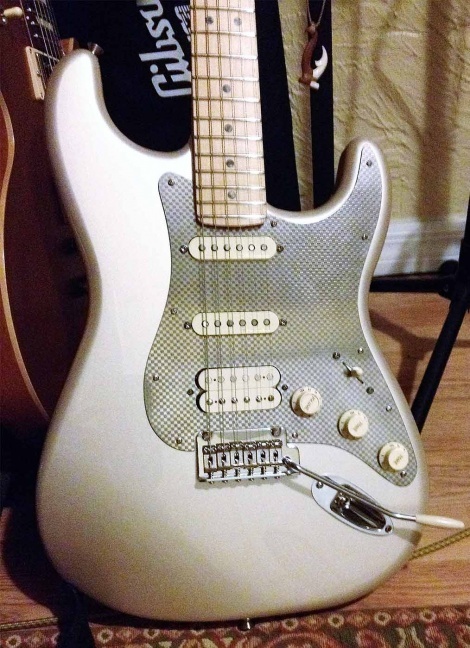 A Classy HSS Stratocaster from Chris in Boynton Beach, Florida with the Mozaic chrome pickuard. 'Thanks Johnny, looks awesome!' - Chris from Boynton Beach, Florida. Sleek & delicious! Love the elegance in color, a class act Strat, thanks for the photo Chris.